No more sweet potatoes and marshmallows. No more green bean salad. No more plopping a can of cranberry mold onto a plate. This year at Thanksgiving, you’re going to create something special. Before we go any further, this blog is about pineapples and pineapple recipes, so if that’s not your thing...you might be better served checking out the New York Times Thanksgiving recipe options. For those ready to make a yellow splash at the buffet this year - read on! The Internet is flush with pineapple casserole recipes (to our great joy), so we took the time to find the best one, and declare the southern pineapple casserole from Creme DeLa Creme as the winner. This stuffing recipe is courtesy of King’s Hawaiian, makers of those fluffy Hawaiian rolls you’ve definitely had before and thought were delicious. They’ve specifically unleashed one of their top chefs, Sumo Sato, to handle this recipe, and by all accounts it looks like he’s accomplished something worthy of any Thanksgiving table. Why not, right? 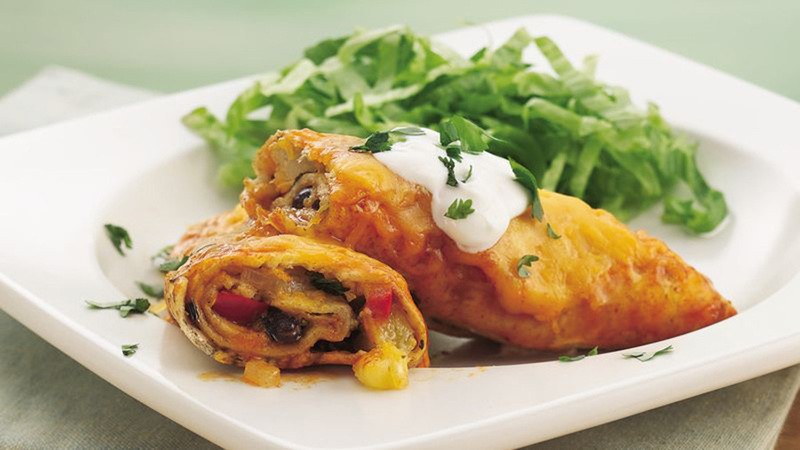 This recipe from Pillsbury will actually please the vegetarians at the table as it doesn’t include the usual enchilada protein options of chicken or beef (although those can easily be added). If the enchiladas are too much for the table to handle or found to be off-holiday by traditionalists, at least you’ll have leftovers that you like through the weekend. Zing-up that tired cranberry sauce recipe with a couple more fruits, notably pineapple. 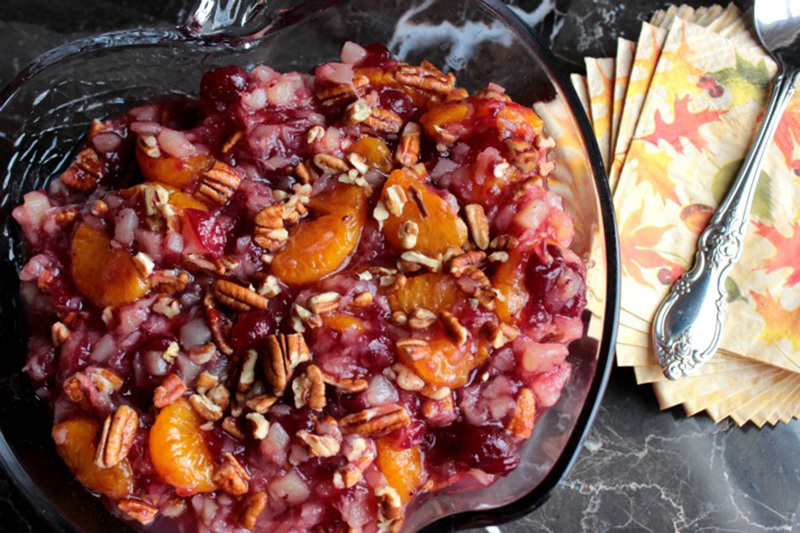 This is a fun option from the Big Bear’s Wife blog that includes the two most fun ingredients in tropical cocktails to help liven-up the boring old classic cranberry sauce. Go with this and you could have the winning dish for the day. What kind of Thanksgiving pineapple recipe blog post would this be if we didn’t include a turkey offering? This Del Monte recipe only has three steps to major turkey success (even though each step has a few hurdles). Still, if you’re looking to make a big show and achieve Thanksgiving Valhalla, this is your best bet. As much as we’d like to say that Thanksgiving is about pineapple recipes, we really know that it’s about spending time with people you care about. We hope that you have a wonderful holiday, and if you happen to make one or a few of these recipes, be sure to share with us on Facebook or Instagram by using the hashtag “#staypineapple”!